The 5th Batch of DLC is available for download starting February 3rd (Tuesday)! 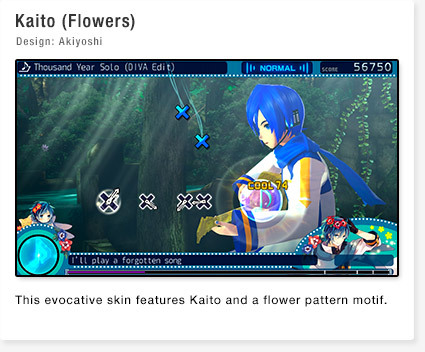 This batch features 1 rhythm game song, 3 modules and 2 skins. Tune in and keep updated with all the DLC coming to the PlayStation®Store! 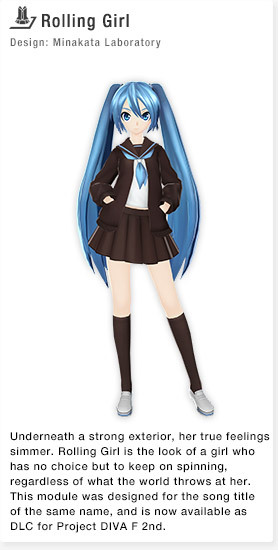 * Mikudayo is added to the “Modules” > “Extras” section of the Customize Menu. 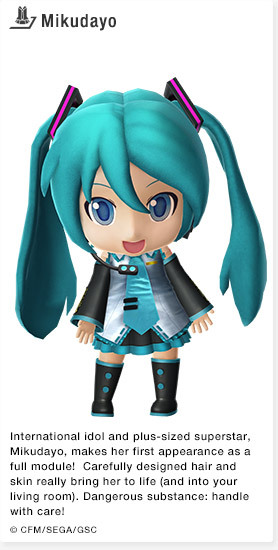 • Mikudayo can be used in all of the rhythm games, but there may be instances of her not properly fitting in-screen, or overlapping other on-screen objects. 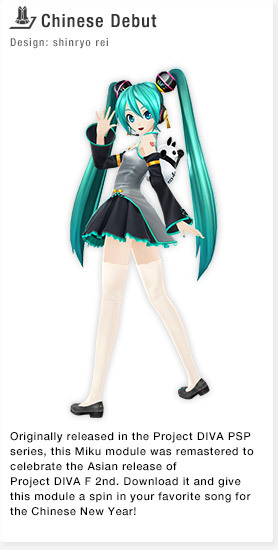 Objects such as guitars and microphones may not display in her hands. 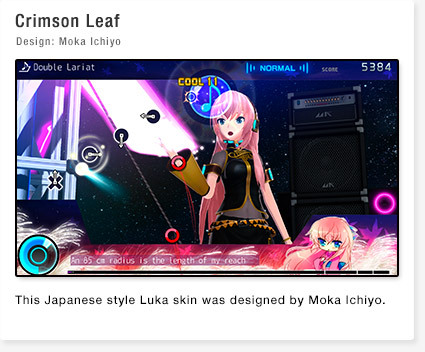 • She cannot equip customization items. • Items cannot be set for her in Edit Mode. 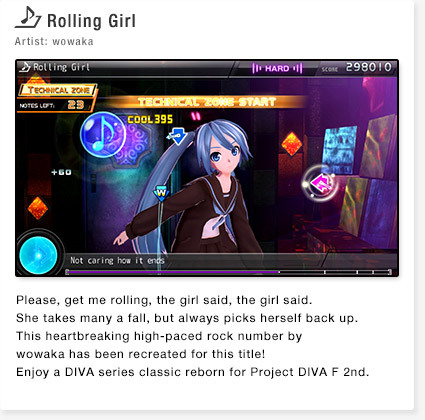 • Mikudayo cannot be used in the DIVA Room. Additional skins are available to download for free for 39 days following the game's initial release date. Don't miss out!